There are lots of meals that I could write about but don't, both good and bad. I revisit my favourite places all the time, but I’ll only write about them if there’s a major change, like a new chef, or a particularly good truffle risotto. Rest assured that if I ever do return to a place and find things not up to snuff then you’ll soon see it reflected here. The duds, on the other hand, are a different matter. Some meals are so terrible they make me lose the will to live, let alone waste my time and yours writing paragraphs of condemnation. Sometimes it’s so obvious that a place is on its last legs that there’s no point hammering another nail into the sarcophagus. There are also particular genres of dud meals that don’t require a write-up. If you ever find yourself on the receiving end of a three course special involving a potato skins starter, you don’t need me to tell you it isn’t going to be haute cuisine. 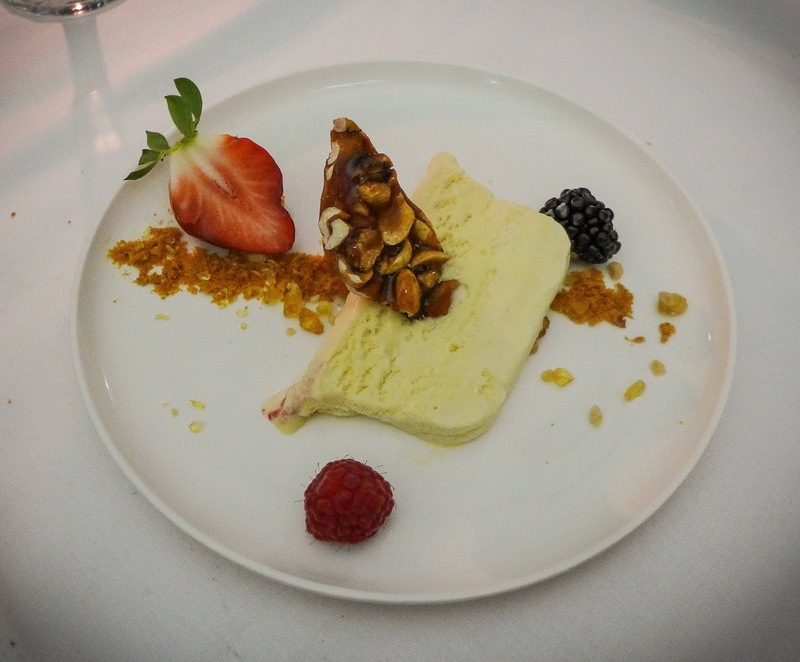 However, some really bad meals do need writing about, particularly when serious money is being charged, or when the restaurant makes lofty or portentous statements in their blurb. If there’s a huge gulf between the claims or price, and what ends up on the plate in front of me, I can’t help but start composing opening paragraphs in my head. Like this one. Because there’s bad – and there’s Horton Grange. This meal, on an inky black midweek night, was book-ended by two of the most spectacularly bad things I remember being served anywhere, their only saving grace being the comedy they produced. “I think you’re going to be in trouble there,” Mrs Diner noted wryly as I popped a lump of the pre-dinner bread roll into my mouth. She was struggling in vain to butter her own. Boy, was she right: the thing was so tough and dry I nearly panicked, thinking I might have accidentally ingested a piece of my place setting. How any chef could have let these sullen boulders leave the kitchen beats me. 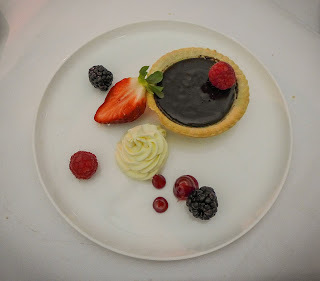 The same thing happened with Mrs Diner’s dessert of “Rich chocolate tart, Chantilly cream”. 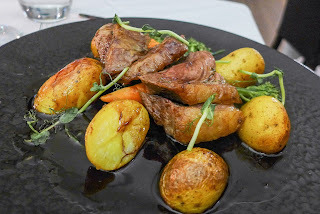 The quality of this dish was worse than I’d expect from any 13 year old home economics student, never mind someone who’d graduated from catering college. With the slightest application of pressure from a fork, the wretchedly poor pastry case and its chocolate ganache filling parted company. It was as if they had been prepared in different timezones before being glued together at the last minute. Garnish-wise, half an out-of-season strawberry sat propped up against this calamitous object, next to a few berries. They looked at each other, not knowing what they had done to deserve such an embarrassing fate. Between these culinary catclysms there were a few things that were marginally better, but not by all that much. 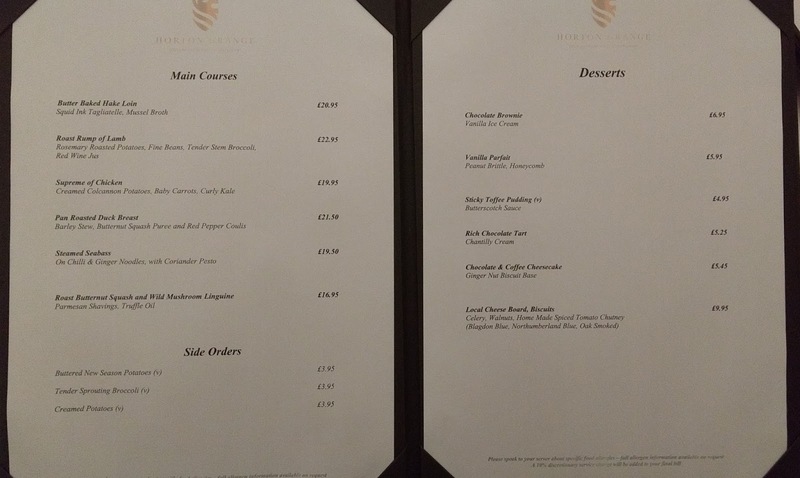 Both our main courses clocked in at over twenty quid, without adding side orders. For that, anyone would expect some fairly serious cooking. 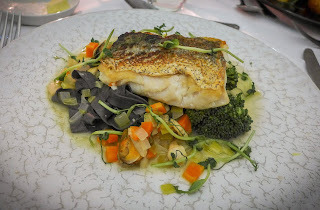 My butter baked hake loin was itself a nice piece of fish, but the squid ink tagliatelle on which it perched was tragically overcooked and an unappetising colour. It could have been used as the artwork for Visage’s 1980 hit single “Fade to Grey”. 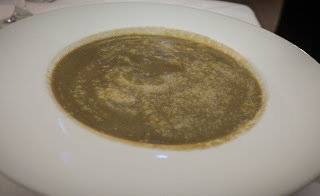 A mussel broth had scarcely any flavour to speak of, consisting mostly of tired chopped onions and carrot. A pea shoot garnish was either already wilted when put on the plate, or had died under the heat lamps on the pass. Neither is remotely acceptable. Mrs Diner’s lamb main was a tough but tasty piece of rump with potatoes and a weird - possibly over-reduced - red wine sauce. Her starter, a mushroom soup, was scarcely any better than you’d expect from a decent brand’s tub, the advertised black truffle crème fraîche conspicuous by its absence. 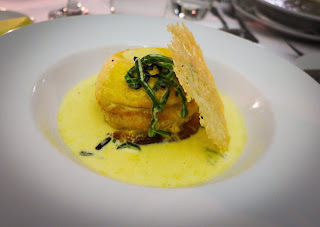 My starter of leek and parmesan soufflé, a twice-baked affair, had a weird sweaty flavour located on the scale that runs between Wotsits and Quavers, rather than the noble product that hails from the area between Bologna and Parma. If they actually used the latter, goodness knows how they made it taste of the former. In the interests of completeness, I should note that my dessert, a vanilla parfait accompanied by the other half of the strawberry, wasn’t terrible, just very dull and beige. 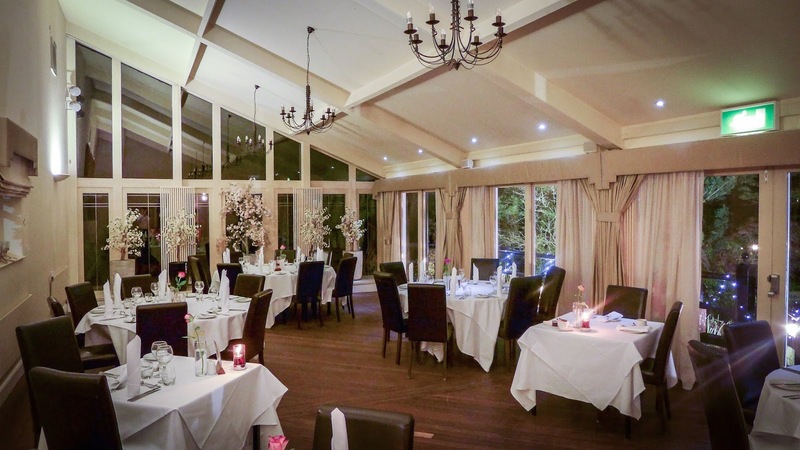 Which is also a description of the conservatory-housed restaurant itself. The colour scheme is, like Switzerland, neutral to the last. Even flower arrangements were pale, cold and lacking in contrast. Somebody really needs to get a bit of colour into this room. Chairs are of the cheap leatherette variety more commonly found in local curry houses. Tables were clothed, but in a carelessly wonky fashion, which seemed apt. 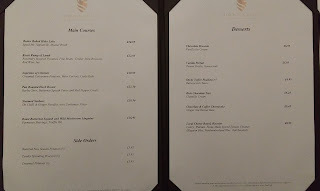 Three courses and one small glass of wine each cost us just shy of ninety quid, once the 10% service charge had been added on. What on earth to make of this? It’s hard to know. We were the only table served all night. 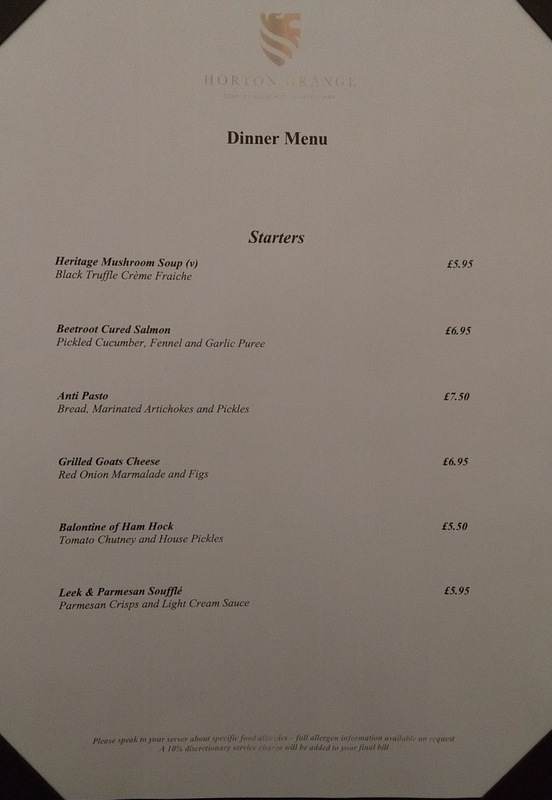 Perhaps the head chef took the night off and left the cooking to the night porter. Our waitress, who was nice enough (it’s not easy to serve just one table without it seeming like you’re spying on them), pointed out that January is always quiet. True of course, but then wouldn’t it make sense to offer a more reasonably priced menu to encourage people to make the trip out from Newcastle for the evening, if only to rotate and use up supplies? I could continue guessing at why our meal was so desperately poor, but the only thing I know for sure is that it was, littered with basic, if amusing errors, and lacking any sense of freshness or vitality. 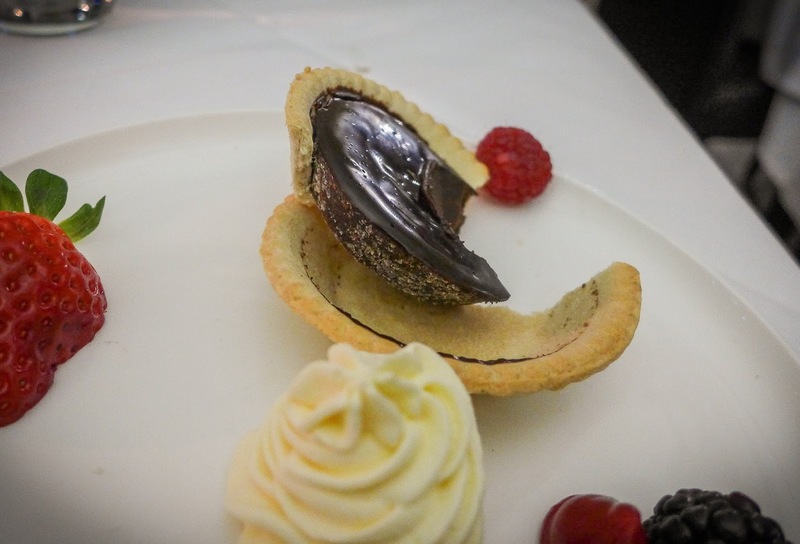 Amazingly, the AA currently has this pinned as a two rosette restaurant, which normally means, among other things “clarity of flavours” and “good understanding of technical skills (pastry and sauce making)”. I found no evidence of either. Consider me baffled. 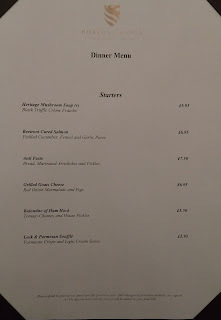 Obviously I can only base my verdict on this one meal, but that judgement is that the restaurant at Horton Grange is charging way over the odds for some of the poorest food I’ve had in an awful long time. Perhaps its status as a country house hotel attracts enough people to part with their hard-earned cash; based on my experience, it can’t be the food. Their own website reckons they’re “well recognised as one of the best restaurants in Newcastle”. I beg to differ. And how.